I have always been a person who enjoyed the end result more than the process. I don't enjoy planting bulbs in the fall, but love the flowers next spring. I quickly tire of the sweater I'm knitting but love the baby sweater wrapped and ready to give. This way of thinking has often been true of my quilting as well. As we have all been told, life is found in the process. So I have tried to slow the creative process down and enjoy each step. I've discovered that no matter how uncertain life may be, how difficult a situation I may find myself in, there is a certain comfort I find in quilting during those times. 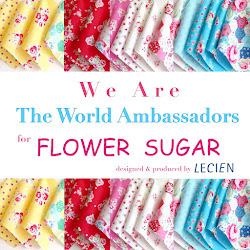 I can look at a pattern, choose some beautiful fabric, measure, cut and sew. While I'm working on my quilt, I have ample time for personal reflection. While I sew, I can also be thinking through life issues, asking God for direction, making lists of the positives and negatives, figuring out what to do next. In the end, if I have followed the pattern correctly, I will have a quilt that I enjoy and just maybe I will have some peace in my soul that overflows into my life as well. I have found I am a process person, so I now give myself permission to stop when the pleasure stops, and put the UFO in the thrift store bag. Those few quilts I have actually finish are precious to me, but the fun of giving away the others was great! How well said and one of the many reasons I quilt. I often pray the person I am sewing for too. Renee, first, I want that pin cushion!! Second, this post just warmed my heart. I have a mother who is an expert seamstress and quilt designer and maker and she gets so much pleasure from creating things and sewing things for other people. I sew very little, but I do enjoy the creative process on many levels and yes, what at terrific simple pleasure! So glad you linked up today. Very nice! I read an article once where a woman commented on a quilt she had made and the various emotions she was experiencing while sewing it. She shuddered at the thought of what that quilt would say if it could talk. I love the way you think and sew! Adorable pinkeep! 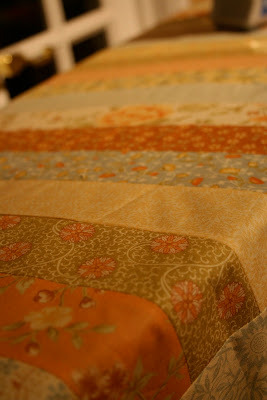 Yes, it has been a comfort to return to the handquilting I am doing on my grandmother's vintage quilt top, each day. It will take months to finish and I am trying to enjoy the process. Its hard for me not to rush through a project just to get it completed, but quilting just doesn't work that way! What beautiful thoughts, Renee. I could feel peace flowing out of your words. They reminded me of something Oswalk Chambers said many years ago concerning "the process being the end." It is in the "process" that the true work is done within us. 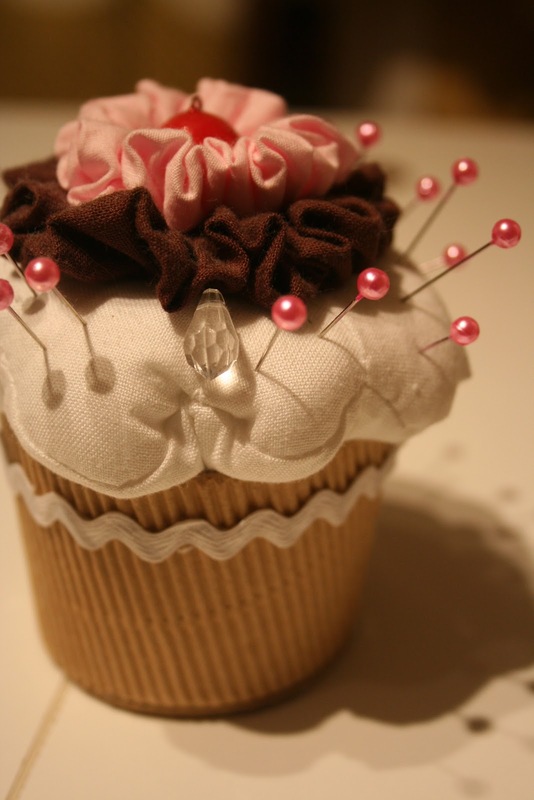 I really, really love this cupcake pincushion. How adorable! Add me to the pin cushion love! I know exactly what you mean, sometimes I just need to get into my sewing room and pull out my latest project to quiet my mind. Patty btw...your daughter looked absolutely beautiful! What a beautiful way of enjoying the creative process. My biggest problem is time. Everything seems so rushed sometimes that it is a "race to the finish line" process and I don't really take the time I should to enjoy it. I need to slow down, even if I get less done, and enjoy each moment:>) Thanks for the reminder! Love your blog design ..thanks for sharing your simple pleasures as I love reading all !! Like you I am a end result kinda girl, not much on the process of things, but getting better....I mean life is about the journey not the destination. Right? I love your little pin cushion. Too cute for words. I think it would be amazing to journal what goes on in life as you make each quilt. And then, as you touch a square, remember how God had touched you during that season in life. what a great hobby. And I like the part that you pray while doing this relaxing hobby. Oh, I can so relate! You said it so beautifully! !